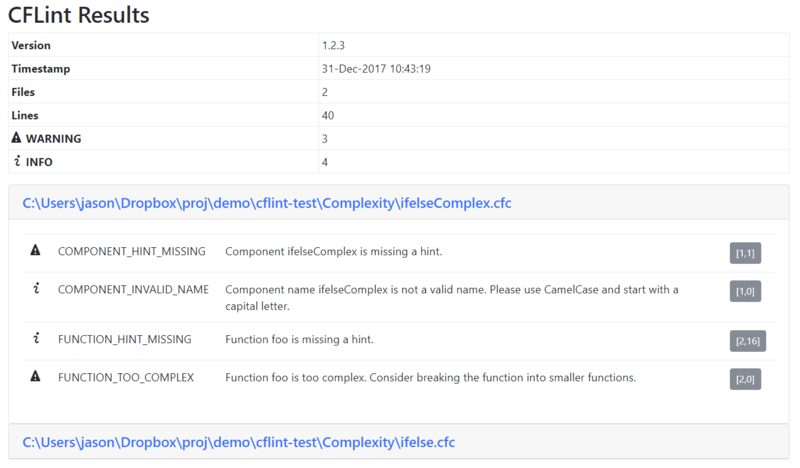 This is a CommandBox module for linting your CFML code using CFLint. First you will need CommandBox version 4 or higher installed. 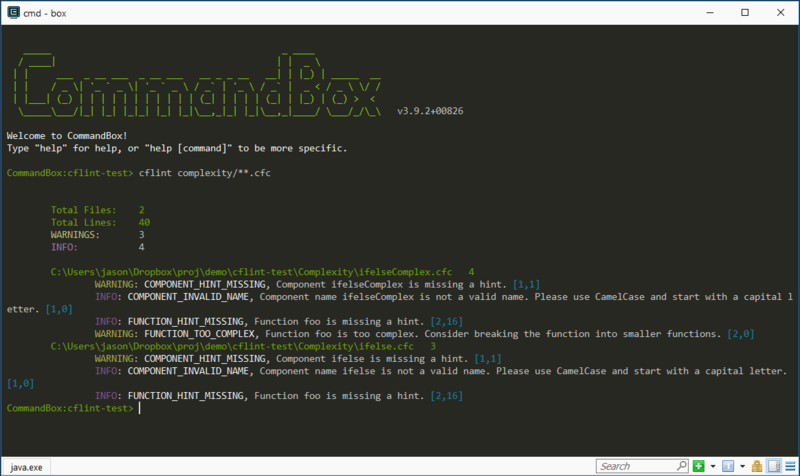 Then you can install the commandbox-cflint module using the following command. Run for all components in the models directory. Generate html report instead of console output. Hide INFO and WARNING level results. Added types for CLI introspection and tab completion.